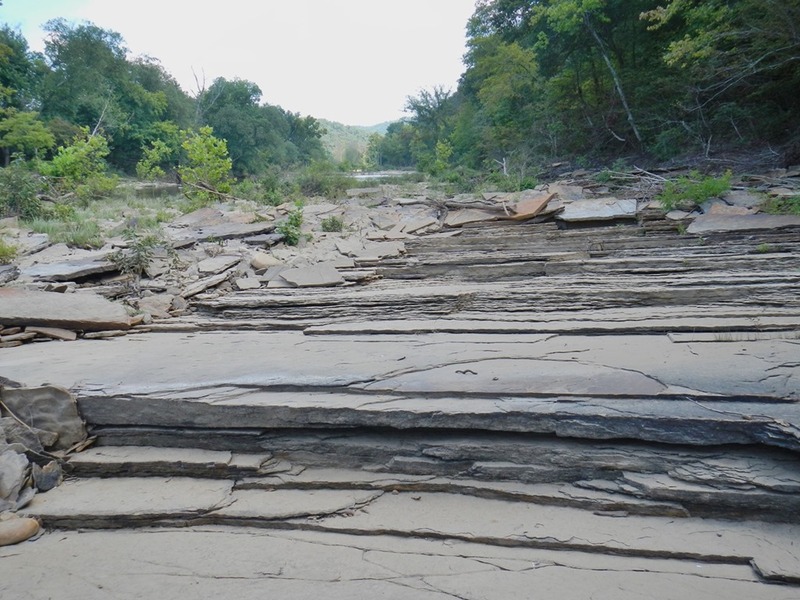 This entry was posted in #geoblog, GeoPic of the Week, More Views and tagged Arkansas, deformation bands, faults, field geology, folds, sandstone, structural geology, Van Buren County on June 12, 2015 by argeology. 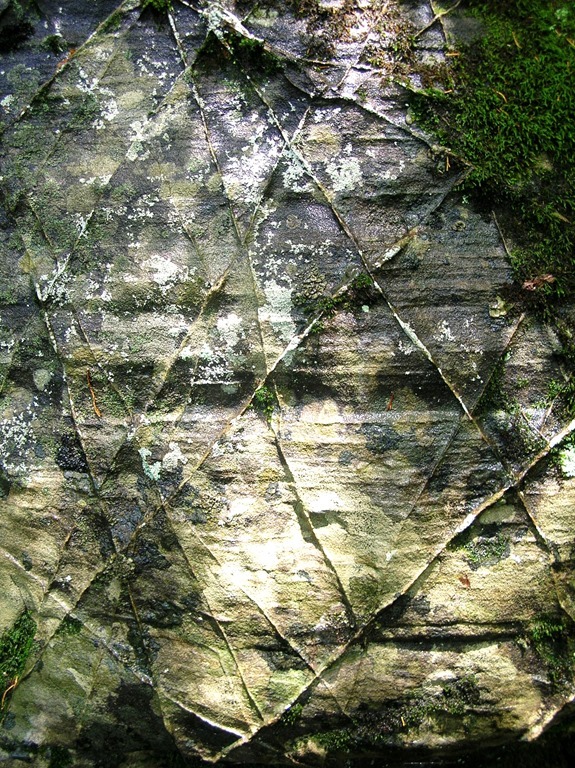 The features that crisscross the surface of the sandstone pictured above are deformation bands. They are micro faults that form where the bedrock is under strain. 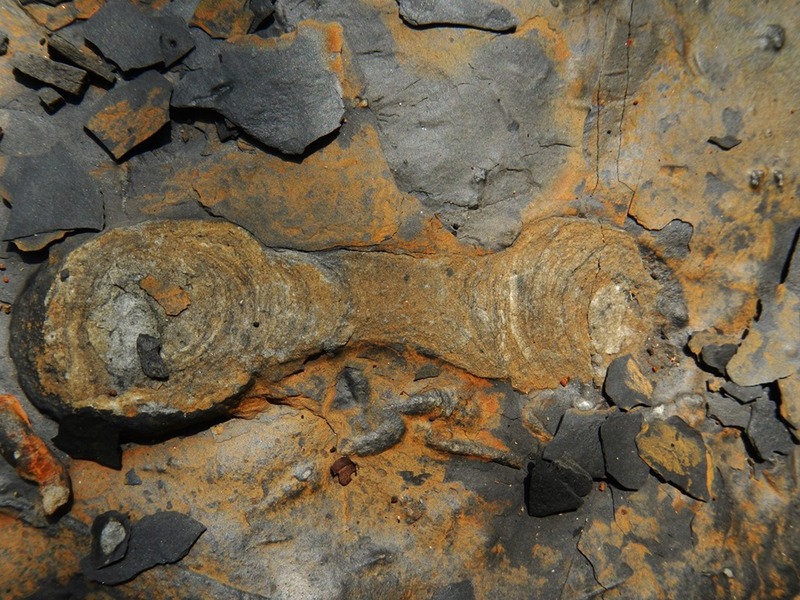 They typically develop near larger faults and the orientation of the bands is determined by the orientation of the stresses acting on the rock. The grains along deformation bands have been crushed, rotated, and reorganized. The resultant bands are harder and less permeable than the rock they formed in, which causes them to stand in relief when the rock weathers. 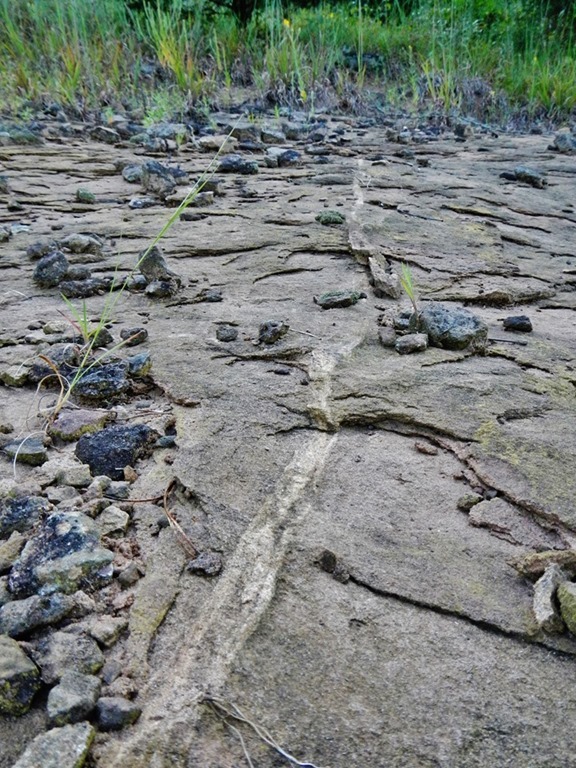 Geologists look for deformation bands as indicators that a fault may be nearby. 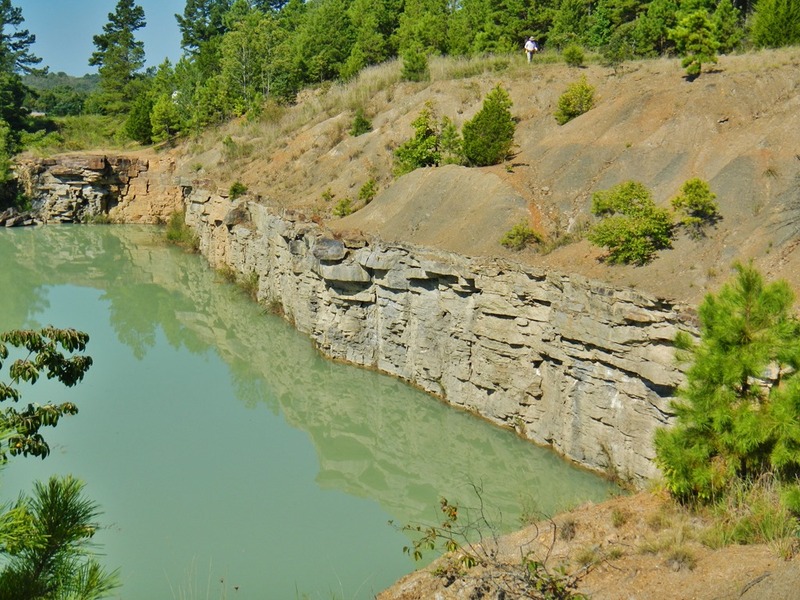 This photo was taken in Van Buren County, Arkansas on the downthrown block of a normal fault. 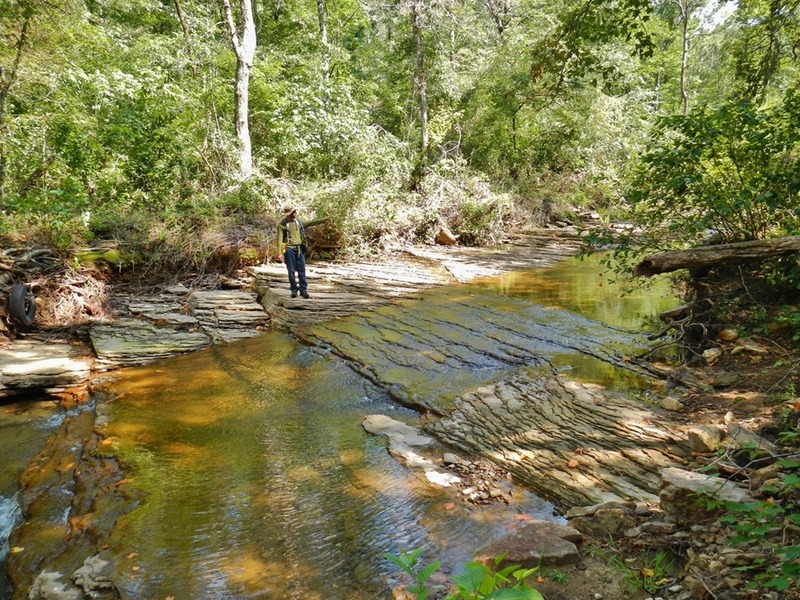 This entry was posted in #geoblog, GeoPic of the Week and tagged Arkansas, bedrock, deformation bands, fault-indicators, faults, folds, Geology, sandstone, structure, Van Buren County on June 12, 2015 by argeology. This week was a hot one, so we did some creek work, but also did some road work. Went up a section of lower Lost Creek on Monday. Narrowed down the Cane Hill/Imo to a fairly small area. 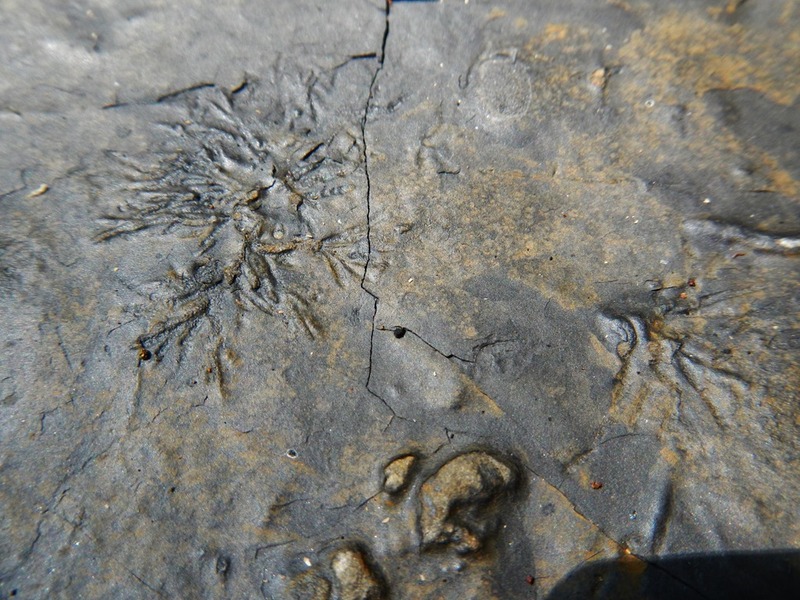 Saw more nice trace fossils in the Imo. 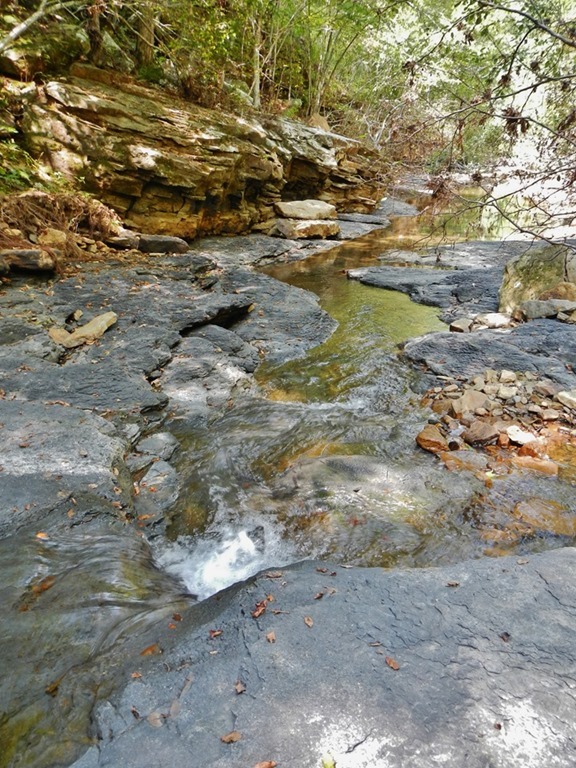 Got a few points on the Middle Fork where it leaves the Shirley quad and enters Greers Ferry Lake. Also, took points on a 4 different shale pits or quarries. 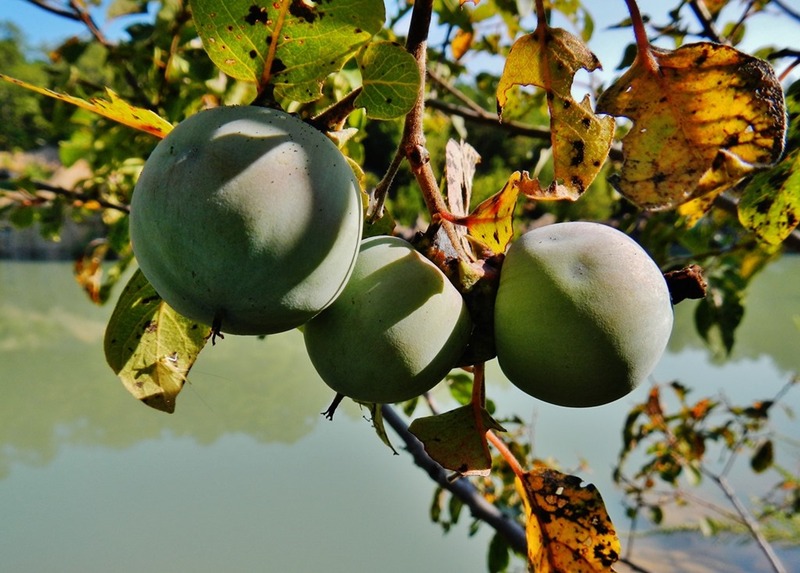 The persimmons aren’t quite ripe yet! Found these deformation bands right by Highway 16 near Fairfield Bay. These bands are associated with structural features like faults and folds. They form in more coarsely grained sandstone when the stress crushes the individual sand grains along a plane, then recrystallizes to form a slightly more resistant lithology, that when weatherd, stand in slight relief. We will keep looking in this area for more clues and hopefully figure out what the rocks are trying to tell us! 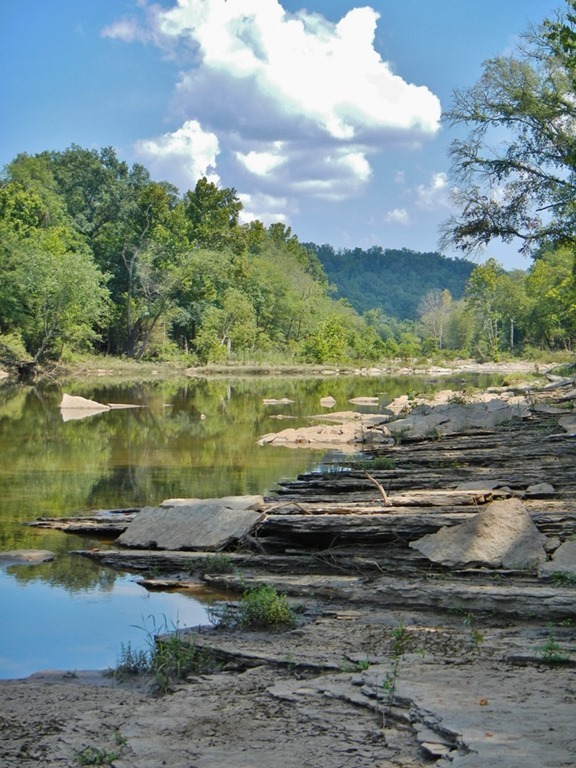 This entry was posted in Notes From The Field and tagged Cane Hill, deformation bands, Fairfield Bay, Greers Ferry Lake, Imo, Lost Creek, Middle Fork Little Red River, quarry, sandstone, shale pit, Shirley, trace fossil on September 16, 2013 by argeology.